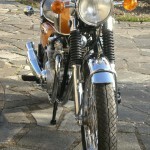 Restored 1972 Honda CB500/4 Motorcycle. 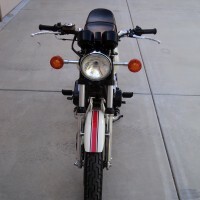 This delightful Honda was completely restored by its owner. The engine was totally overhauled, the cases, cylinder and head/cam cover were stove enamelled and the outer covers were polished along with other components..
All new engine bearings were fitted, as was the cam chain and tensioner. 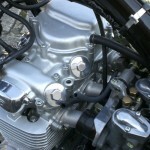 Genuine Honda pistons were sourced in America and the cylinders were bored and honed. 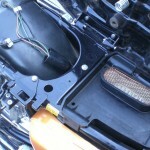 The carburettors were ultrasonically cleaned and all needles, jets, O rings, gaskets etc were replaced. 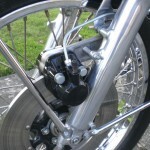 All of the small carburettor parts were zinc plated using the correct colours. 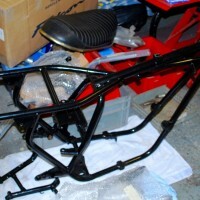 The frame, swinging arm, stands, bottom yoke and other small brackets were epoxy powder coated black. 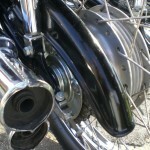 The wheel hubs were aqua blast cleaned and new Japanese wheel rims laced on using stainless steel spokes. 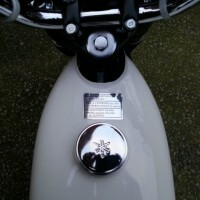 The back brake was relined and new genuine Honda front pads were fitted. 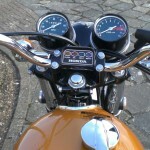 New rear suspension units were fitted. 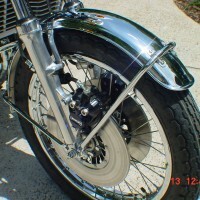 Every nut, bolt, screw, washer is of the original type with the correct plating and lettering on the bolt heads. New coils, leads, plugs and caps were fitted. 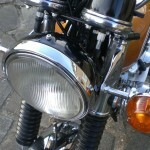 A really lovely and well restored Honda CB500/4 Motorcycle. 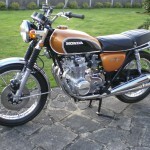 Honda CB500/Four – 1972 For Sale or Wanted? 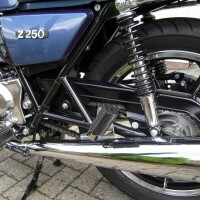 If you're looking for the perfect Honda CB500/Four – 1972 for sale then take a look at the hundreds of restored classic motorcycles listed on our extensive Motorcycles For Sale pages. 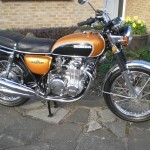 We regularly feature very nice restored Honda CB500/Four – 1972 bikes for sale. 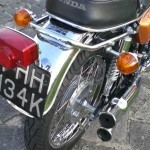 Spares and Parts for your Honda CB500/Four – 1972? 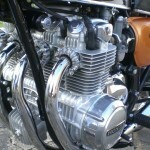 Workshop Manual for your Honda CB500/Four – 1972?